Two robots enter the arena, and only one comes out. That is the basic premise for one of Tech’s most exciting, or at the very least most violent competitions, BattleBots. 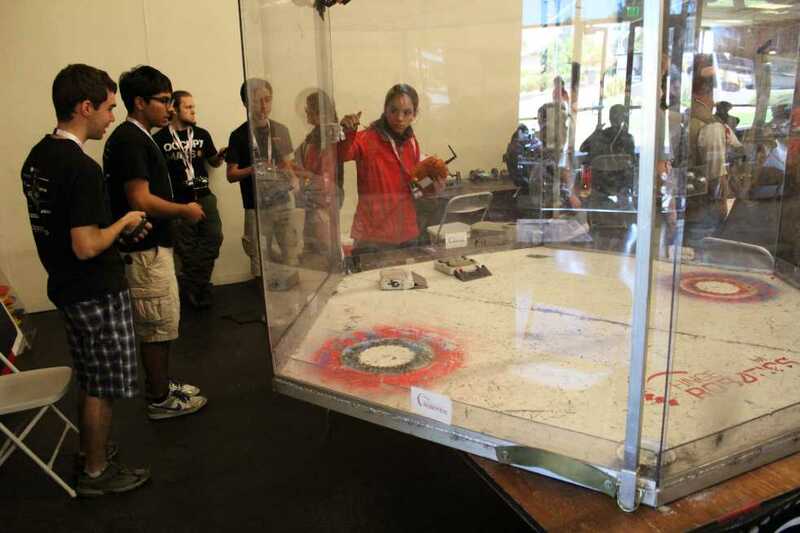 BattleBots, a part of RoboJackets, is preparing for its second competition this year in May. They are hoping to quite literally smash the competition in Miami Beach and ride away with a first place prize. Tech’s BattleBots team has a good chance, too. Unlike most teams, which are mainly hobbyist groups, Tech’s is a school organization. Even MIT does not have a BattleBots team as organized as Tech’s. BattleBots competitions are a long held tradition, and today’s fights are based off the early 2000’s television show of the same name. While the competition Tech will compete in will not include Bill Nye, the original show’s technical expert, there will be plenty of excitement. The competition this May will be a double elimination tournament among roughly 20 teams and will last for three days. Each gruesome robot battle lasts exactly three minutes or as long as it takes to destroy the other robot. “Driving the robot [makes the time feel longer] than three minutes, I’m sure. You get completely engaged,” said Cory Feig-Sandoval, second-year ME. Then there are 20 minutes between fights when the teams can repair their robots and prepare for their next battle. Preparing for a robot battle is not an easy task, though. The BattleBots team starts formulating a plan for their robot early Fall semester. They work for a few hours twice a week on developing the perfect robot killing machine until spring semester, when they quadruple their efforts. The team practices at Tech’s Student Competition Center on 14th Street. According to Feig-Sandoval, practice means a lot of driving and destroying garbage cans. “Its hard to practice fighting without building another robot and then, well, destroying it,” said Feig-Sandoval. But this is Feig-Sandoval’s favorite part of the BattleBots experience. “I just really like to build stuff, making things you know. Its the most challenging part but also the most exciting when it works,” Feig-Sandoval said. Once the BattleBots team arrives in the arena, they have to be completely prepared for anything to happen. The hallowed wooden floors and polycarbonate walls of the robot arena have seen more than their share of robot heartache. Just last year, the team’s hardest challenge was not another robot but their own equipment. The belts they bought for their robot failed over and over again, until eventually they used everyday duct tape to save their battle bot.